The aluminium poles make this quite a lot lighter and easier to handle than other steel pole Cabanon small tents, and this is a very simple frame. It's easily pitched by one person and ideal for solo camping. There's not a huge living space but the bedroom inner is nice and big and the walls are almost vertical so you'd probably get a tall airbed in if you wanted. We used 2 x 76cm self inflating mats, which together made a 5ft (kingsize) bed. The downside is that you have to sleep sideways on to the door, which means someone has to climb over the other to get out. There's a ventilated kitchen window in one side, with an outside flap which can be rolled and toggled up, so it's possible to position a camping kitchen in here (though it does obviously reduce the living space quite a lot). 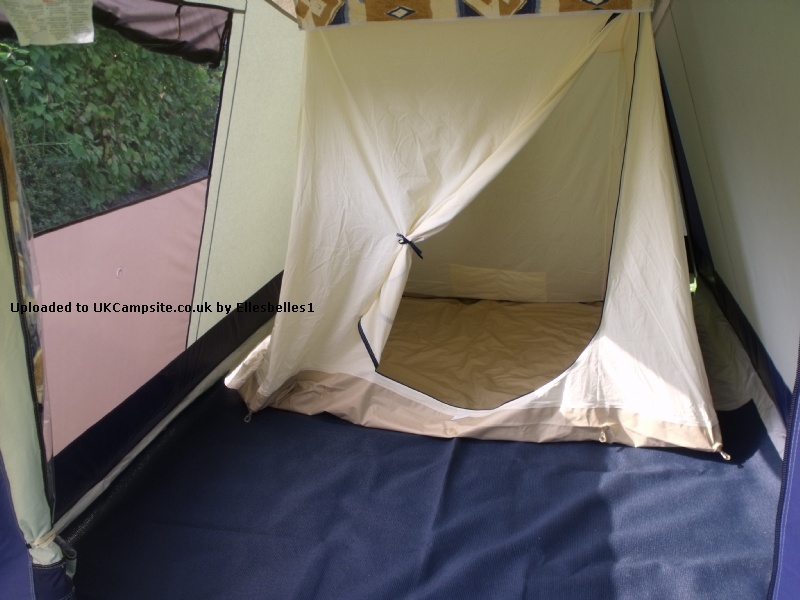 The front of the tent can be undone, and toggled to one side, which is great for extra ventilation but not so great for privacy, with the bedroom being in-line at the back of the tent. For this reason, I think the Pacific is probably another one to consider, or the Elzas if you want a small tent with a steel frame. All in all, I think it's a smashing little tent for solo camping or short trips for a couple. 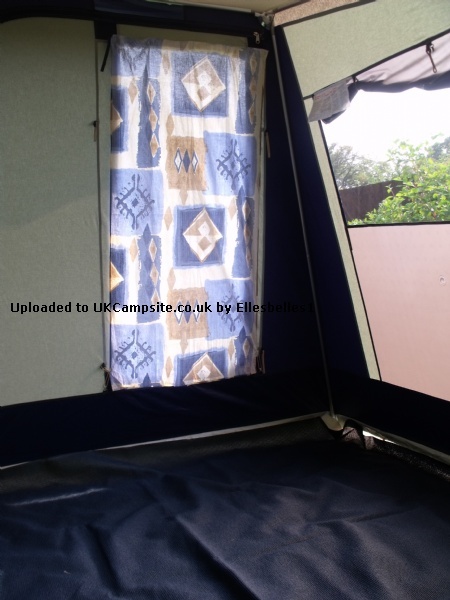 It's the usual Cabanon quality, with a PVC coated roof which can be easily wiped and the usual tough and deep mudflaps, which keep the drafts out when you put a groundsheet over the top of them. The inner tent is top quality with a nice, smooth-running zip. As with all Cabanon tents, there is no flynet (probably not necessary, as the fabric is breathable anyhow). There are mesh vents to the rear of the inner tent, though. This is a little cracker of a tent. I have only rated it 9 out 0f 10 because, as is usual, the tent is a very tight squeeze for 3 people. I use it for solo camping mainly although I have used it with 2 people which is OK. The bedroom pod will only take a double airbed with a very small amount of space left over. There is a small living area, big enough for 2 chairs and a small table but not much else. The Atlantic is a modern version of the Calais and has aluminium poles which are very light. Another upgrade is the kitchen window which not only allows more light in but gives a good, if small, cooking area. 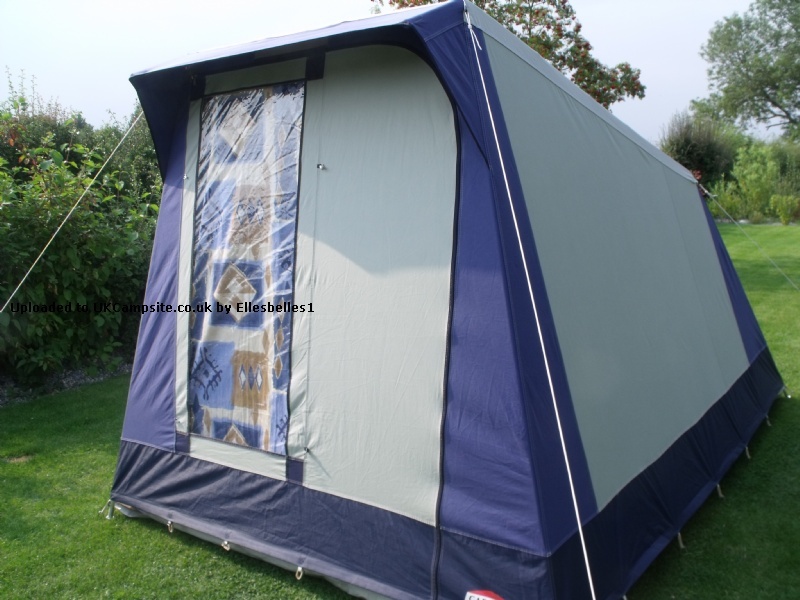 I have used the tent without the bedroom pod which gives more internal space. A sun canopy is available but this is small - however, it provides good shelter from the rain over the doorway. As always, the materials used in this tent are first class. It is extremely quick and easy to pitch and makes a great weekend get away tent for 2 or a solo camper. Add your review of the Atlantic! The Cabanon Atlantic is a popular lightweight, one-bag canvas tent which is quick and easy to erect. Includes roof lining and curtains. Kitchen area with roll up window mesh. Manufactured using light, alloy poles and the best quality cotton canvas.